A question about fashion or creative industries? Detect trends and analyze and build sustainable academic knowledge on creative sectors in Flanders, in Belgium and internationally. 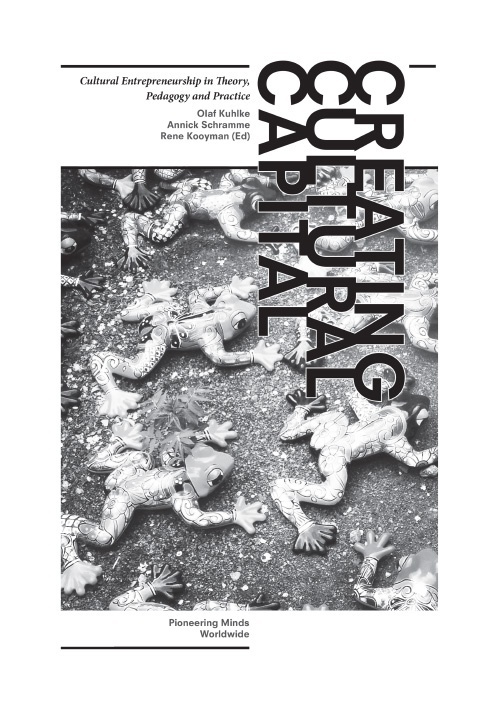 Support creative organizations on the domains of leadership and innovation. Stimulate the creative sectors through co-creative research, knowledge sharing and interactive learning methods. Knowledge creation based on publications and research in name of the government, businesses and other organizations. This tool helps you to expose the dominant frame of thought in your own creative organization. You’re only one step away from more conscious decision-making! The tool covers the creative industries’ three main frames of thought. Keep in mind that these frames are not meant to pigeonhole any of the actors of the industries involved, nor to rank them. Explore entrepreneurial behaviours creative entrepreneurs typically follow, and the practical application of such knowledge in the field of education and guidance. 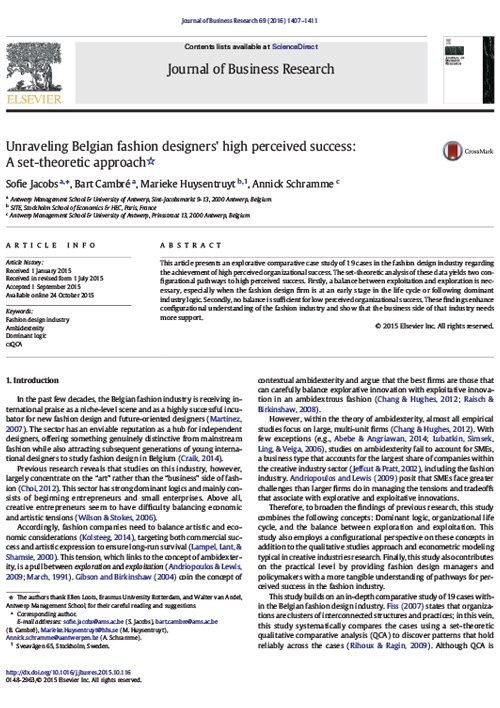 An explorative comparative case study of 19 cases in the fashion design industry regarding the achievement of high perceived organizational success. 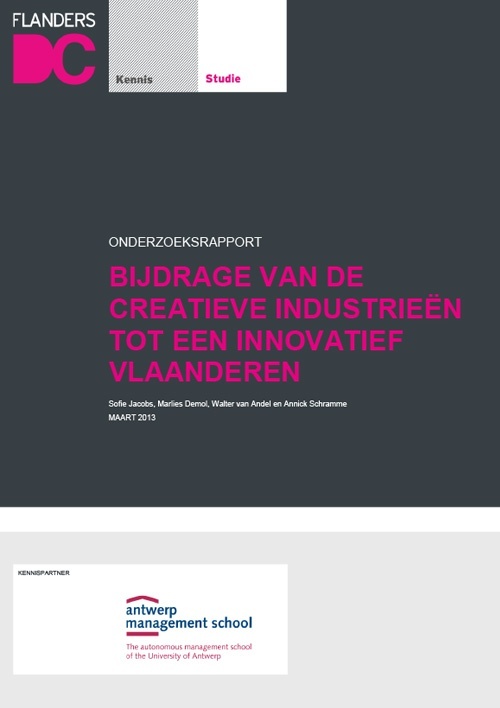 An explorative comparative case study of 21 cases in the Belgian furniture design industry with regard to achievement of success. 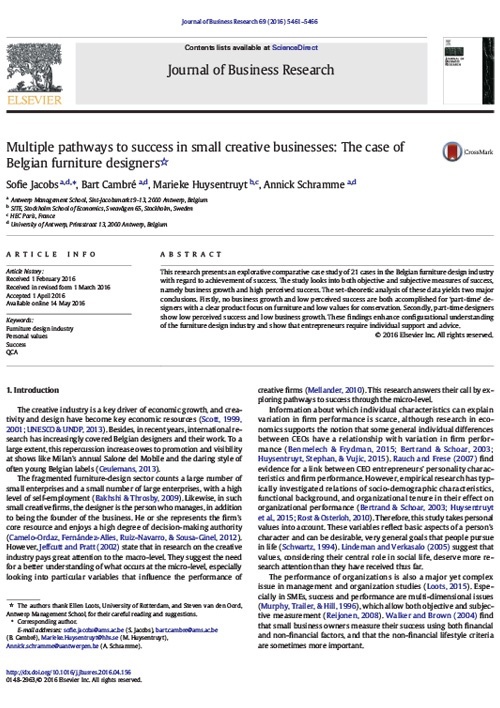 The study looks into both objective and subjective measures of success, namely business growth and high perceived success. Practice examples that creative industries certainly do grow or have a strong ambition to do so. In this research report we'll further analyse the missing middle and formulate recommendations to stimulate growth in smaller creative businesses. Research report to make Creative Flanders more venturous. 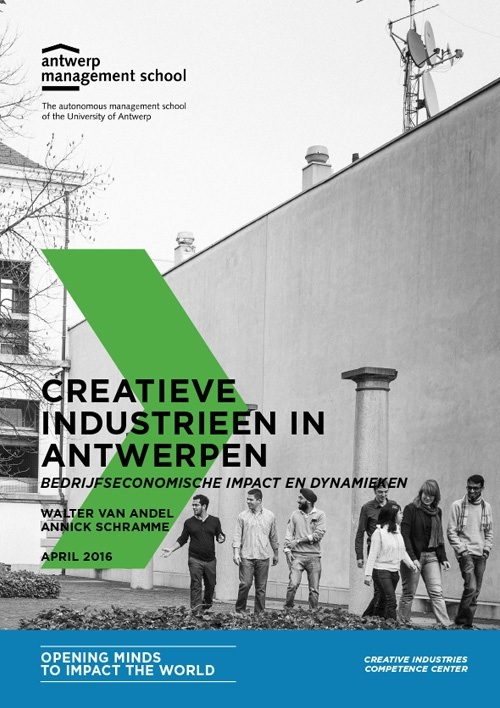 This report researches the economical impact of creative industries and dynamics within the creative industries of Antwerp. 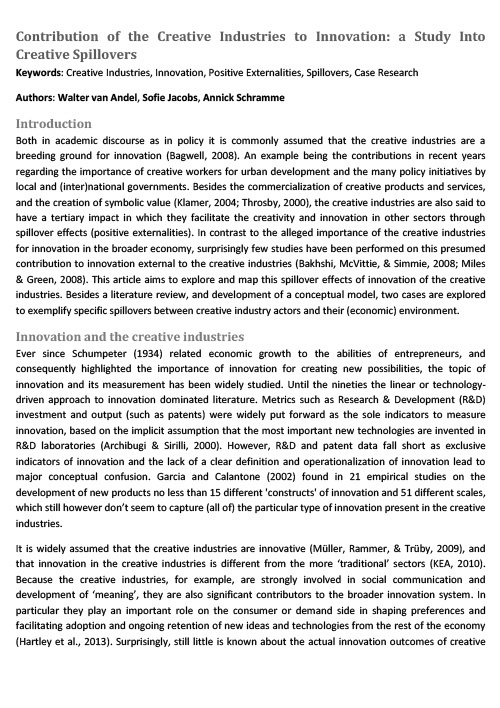 This report explores and maps the spillover effect of innovation of creative industries in a literature review, conceptual model and 2 cases.